A new "quiet chair" could lift the burden of hair salon small talk. 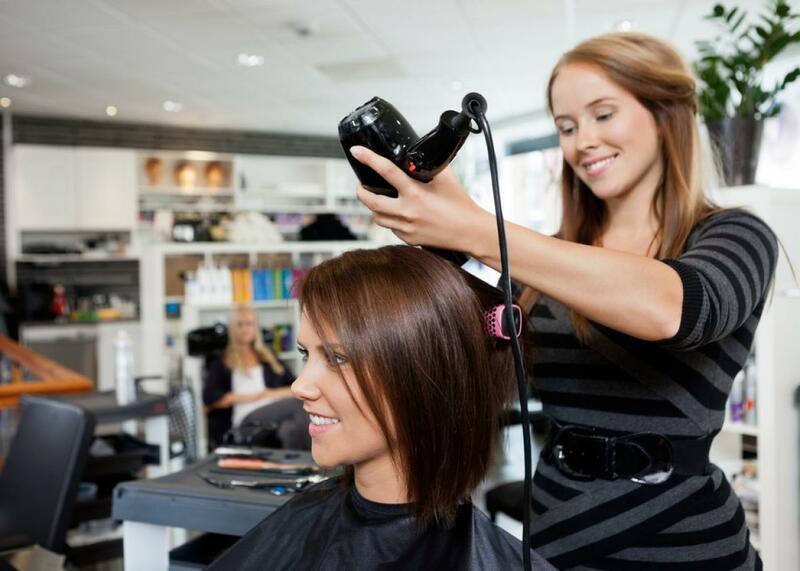 The chinwag, as it were, is a widely accepted facet of hairdressing culture around the world, but for some customers, it’s reason enough to avoid the salon altogether. Social anxiety forums offer support for people who need a good trim but quake at the thought of discussing next month’s holiday travel plans with a relative stranger. UCB’s parody video of a salon client who tries to impress her super-cool stylist by donning fake tattoos and claiming to know a Momofuku sous chef will hit uncomfortably close to home for anyone who’s embellished upon the truth to fill a lengthy silence in the cuttery chair. The only thing worse than struggling for conversation topics at an awkward cocktail party, some have suggested, is having to do it while staring at your own desperate, trembling face in a mirror. Before I found a long-term stylist and got to know her well enough to make comfortable banter, I used to dread the forced intimacy of getting-to-know-you chitchat in the salon. Pop culture embraces the trope of a combination hairdresser/confidant, but since most women aren’t making ’50s-era weekly salon trips anymore, that kind of relationship is harder to find. Clients aren’t the only ones who sometimes prefer respectful silence to obligatory chatter. Nowadays, several elite, pricey stylists are asking their clients to quiet down so they can focus, or to avoid the burden of a client’s trust in matters (divorce, childrearing) outside of the stylist’s expertise. Mike McCarthy, a professor emeritus of applied linguistics at the University of Nottingham, calls the hairdresser-client relationship a “mutually captive” encounter. While his study found that less than 10 percent of hairdresser-client conversations were task-related, McCarthy concluded that chitchat was an “indispensable” element of the service experience, because it contributed to “mutual assurance that service was being delivered appropriately.” An existing repartee might make a stylist more likely to gently suggest a more flattering cut, or a stylee more likely to protest when her hairdresser takes out the razor. Forced small talk might be a hassle, but looking up from a magazine to discover a nonconsensual set of bangs could be a nightmare. In the lucky city of Cardiff, the client gets to decide if an hour of peace and quiet is worth the risk.